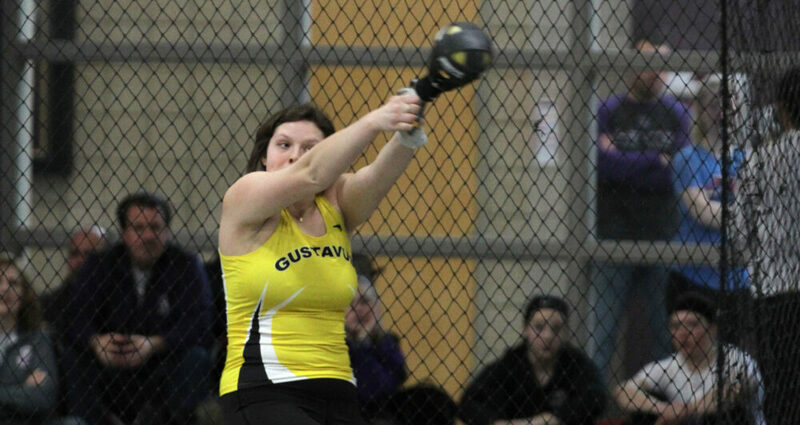 SAINT PETER, Minn. – The Gustavus women’s track & field team is set to compete at Saint John’s on Saturday. The meet starts at 11 a.m. at the Donald McNeely Spectrum and will include Concordia-Moorhead, Gustavus, Minnesota-Morris, Saint Benedict, Division II Sioux Falls, and Division II Southwest Minnesota State. Here’s a look at the top Gusties in each event and their ranking in the MIAC.